July 19 hearing could give SB 187 enough momentum to reach governor’s desk. SACRAMENTO — Recreational fishing advocates certainly hope this year’s efforts to change California’s angling licensing system from a calendar to 12-month cycle would save them from pop culture’s clichéd definition of insanity. California’s anglers revisited past attempts to reform the state’s fishing license policy, this year hoping for a different result. State Sen. Tom Berryhill’s proposal – Senate Bill 187, or SB 187 – might or might not have enough momentum to actually make it to Gov. Jerry Brown’s desk before the end of July. The Assembly’s Appropriations Committee is expected to review SB 187 during a July 19 hearing. Recreational fishing lobbyists hope there is enough committee support for SB 187 to give it the votes it needs to make it to the governor’s desk for approval. Of course Berryhill’s previous proposal also made it out of the State Senate in 2015. Senate Bill 345, known as the Sportfishing Stimulus Act of 2015, stalled in the Assembly and fizzled away before the end of the 2015-16 legislative session. SB 345 also proposed shifting California to a 12-month fishing license cycle. SB 187 was approved May 31 by the State Senate and forwarded to the Assembly shortly thereafter. The Assembly’s Water, Parks and Wildlife Committee unanimously approved the bill nearly one month later, setting up the Appropriations Committee’s consideration of SB 187 in late July. Previous efforts to reform California’s fishing license policy were stunted by questions of implementation and revenue impact. “The issues raised in the past have been questions about an implementation challenge with the transition to an Automated License Data System (ALDS) for hunting and fishing licenses; how fishery report cards, and validations would be tracked; and what the impacts of this change would mean for DFW revenue,” the most recent legislative analysis of SB 187 stated. “The ALDS is now in place as opposed to when previous efforts to shift to a 12 consecutive month license occurred. The legislative analysis added 12-month fishing licenses were implemented in Arizona and Utah, potentially placing California at a competitive disadvantage. 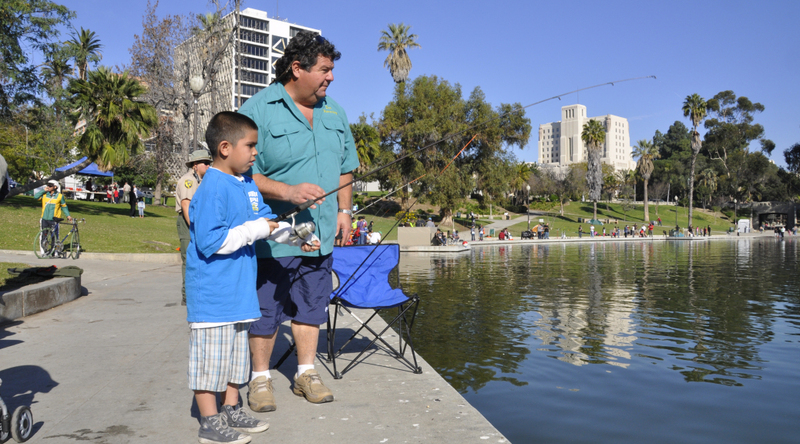 California’s anglers, should SB 187 be approved, would be able to purchase a 12-month fishing license for $47.01; the license would be valid for 12 months from the date of purchase. Berryhill said the current system, where a fishing license expires Dec. 31 regardless of when it was purchased, provides little value to anglers who don’t buy licenses early in the year. Switching to a 12-month system, Berryhill and recreational anglers argue, would help stunt declining recreational fishing participation in the state and allow California to maintain funding for conservation and fish stocking programs. Anglers can currently purchase 12-month fishing licenses in 11 states and Mexico, according to Berryhill. SB 187 is Berryhill’s third attempt to change California’s fishing licensing system; he proposed similar bills in 2015 (SB 235) and 2013 (SB 583). A similar bill was also proposed in the Assembly in 2011 (Assembly Bill 1786).